Black Lives Matter has put out an official statement, complete with links to their official social media accounts, in order to address the recent revelation that the biggest Black Lives Matter account on Facebook was run by a white man in Australia. CNN reported Monday that the page, called “Black Lives Matter,” had almost 700,000 followers and drew in over $100,000 in donations, some of which reportedly found its way to an Australian bank. Ian Mackay, an official with the National Union of Workers in Australia, was reportedly found to be tied to the page and has been suspended from his job while the union conducts its own investigation. Since its inception, the Black Lives Matter Global Network has regularly dealt with the misappropriation of our name and likeness, which has compromised the integrity of our local, national, and global work. We live in a digital world, and it’s extremely important that platforms like Facebook and Twitter do their due diligence with users so that supporters of our movement, and movements like ours, aren’t misled and that resources aren’t misappropriated. We regret that so many people were deceived by the recent high profile scam into believing that their gifts and donations benefitted us. For months after noting the fraudulent profiles, the Black Lives Matter Global Network and many of our allies reached out to both Twitter and Facebook to request the fake profiles be deactivated and taken down. Unfortunately, our requests received no adequate response and many supporters continued to be misled. We are relieved that the fraudulent profiles have ultimately been removed and hope that the social media platforms will soon adopt protocols to stop this from happening again. 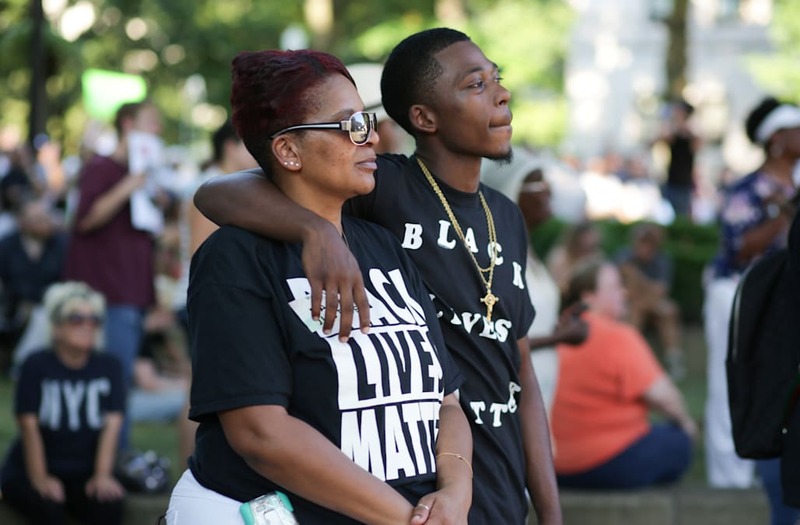 The post Black Lives Matter releases statement about fake social media accounts appeared first on theGrio.